Not seeking to label individuals for the purpose of pointing out a flaw or a pessimistic perspective; The Hesitant male is the conditioning which was learned as children. Some lacked a strong male presence (confident, emotionally or physically available and stable), others had a mother who was emotionally overwhelming, or the other extreme— completely unavailable for support. Many men had mothers who did not accept them for who they were as a boy; or as a child they felt they had to take care of or protect their mothers. 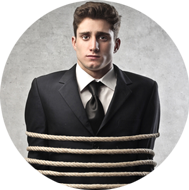 You may find yourself in a power struggle within your intimate relationships. There are a number of ways you control without seeming like you’re trying to control your partner. This also goes for dating, when you allow another person power over you. You may defend your actions, say no when you mean yes and vice versa—passive aggressive behavior. You run, hide, create drama and/or sulk waiting to be rescued or hoping your partner will change. Stuck on a past love, the one who got away or destroyed your sense of self. Major fear of engulfment, so you come close and then create distance. Blaming your partner for being unreasonable or punishing you in some sense. No risk-taking in your love life—you prefer the comfort zone of hell. You need others’ opinions of what to do in your relationship/love life. May appear to be in touch with your emotions, but are using them to victimize yourself and remain emotionally unavailable. And Live Your Most Authentic Desires! Learn to take inspired action daily—playing big without question or being questioned. Makes decisions, which serve you and others with confidence. Dominant without aggression in and out of your relationship. Respect : You embody it, there’s no question on owning it! You give it without strings too. We just need to remove what is suffocating your authentic masculinity in your love life and relationships. You may be used to compartmentalizing emotions you don’t want to deal with, which are usually tied to what your truth is. It makes it easier to lie to yourself about the state of your love life. There is a fear of the truth, because it will mean action….and an Empowered Alpha Male, is all about action! These characteristics are not associated with the domineering, controlling, aggressive, angry, non-feeling, fighter, egotistical, alpha. Stronger and more confident, especially in controlling their life and claiming their rights. Leader, protector, strong in communicating and directing, leads by powerful example. Imagine if this described your love life. Does it come alive compared to what it looks like now? 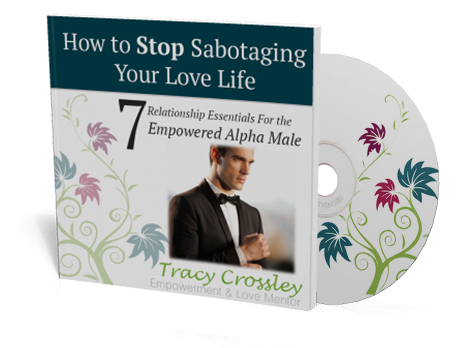 I invite you to take the the steps to become the Empowered Alpha Male. Learn about Over-Giving, your key to complete freedom and experiencing happiness in all of your relationships! Change your relationship from the same old problems into feeling clearer, happier and in control of yourself. Your relationships will have hope where there may not have been any before! Follow just one of the tips in this audio and you will be closer to being an Alpha Male. Get confidential support, share personal experiences, questions or get ideas from the community. Recieve the guidance you will need to so you can fully embrace being an Alpha Male. Get access to Tracy Crossley and join her inner circle. Plus more special goodies waiting for you inside!